I made this dish in advance of a race where I knew I’d be getting home late and would need a protein and carb rich recovery dinner waiting for me. 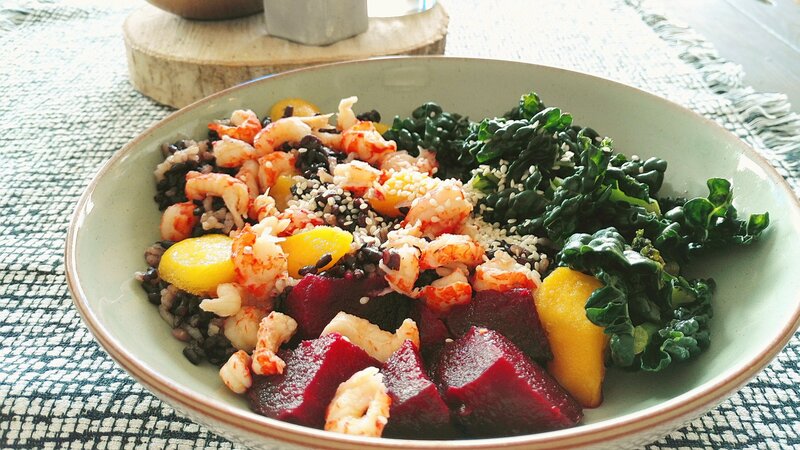 It’s a base of black, brown and wild rice with black kale, topped with crayfish tails and mango chunks, with a side of beetroot and a sprinkle of sesame seeds. The mango/black rice combination was particularly delightful! 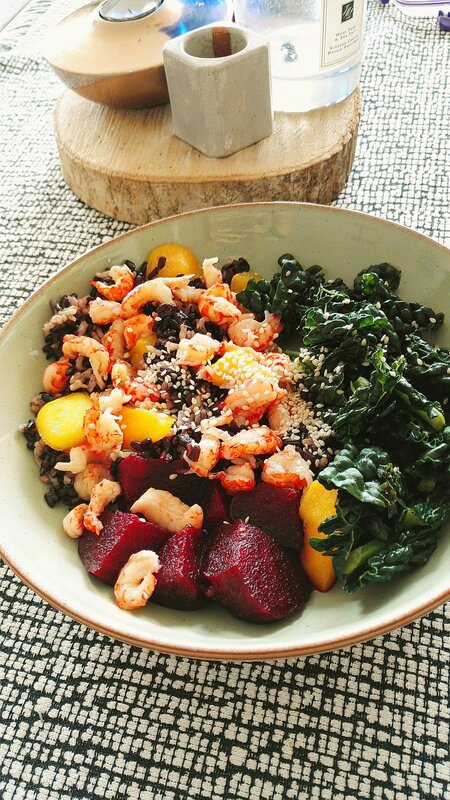 Posted in dinner, fish, lunch, rice, seafoodTagged beetroot, crayfish, kale, mango, riceBookmark the permalink.